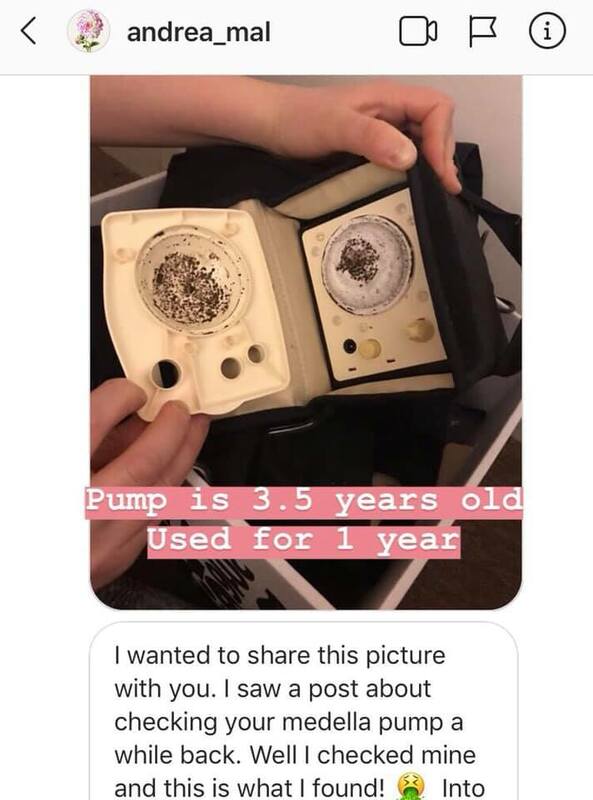 I recently saw a picture shared on Facebook where someone found mold inside their Medela Pump and Style Advanced pump. It was 3 1/2 years old and she had used it for a year. She heard about it happening to someone else so she decided to check hers out. She was shocked at how much mold was under the face plate. This pump is not a closed system so milk and condensation can get inside the tubing. Be sure to wipe down the face plate monthly to prevent mold from growing. With any pump system, please make sure to read the manual carefully on how to clean and care for them. Follow instructions on how to sterilize parts before your first use as well. After each use, make sure to run the pump a little longer to keep the air flowing through the tubes to help dry them out. This is not fool proof though and shouldn’t be the only steps you take to prevent mold. All removable parts should be properly cleaned and fully air dried. Do not soak parts in soapy water as leaving them in water for a prolonged time can actually cause more bacteria to grow. If you can’t wash the parts right away after use then place the removable parts in the fridge to prevent bacteria from growing. Be sure to wash at least once daily. If you are in the market for a used pump make sure to do your research on open vs closed systems. 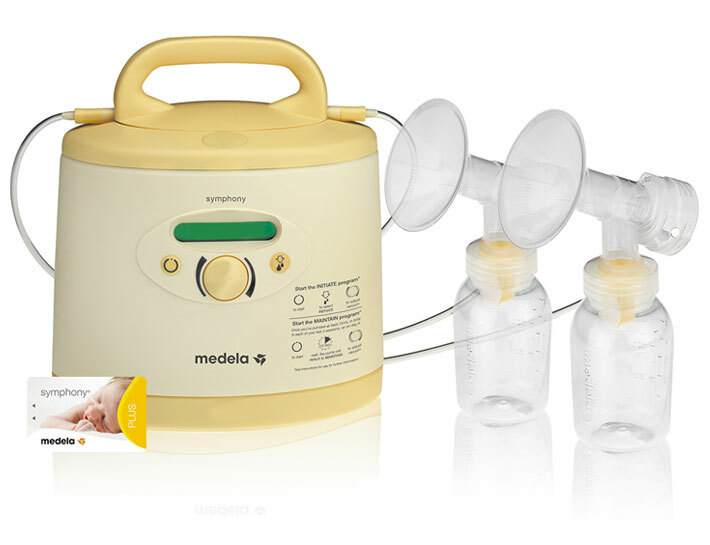 Kellymom states “A closed system pump has a barrier between the milk collection kit and the pump mechanism to prevent contamination by bacteria/mold/viruses/etc. An open system pump has no such barrier” So when buying a used pump, it is best to buy a closed system pump, but be sure to buy brand new tubing and other removable parts. Remember, most insurance will provide you will a brand new pump so be sure to contact them with what pumps may be available to you at no cost.